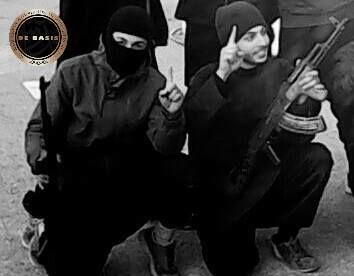 The rivalry between Al Qaeda and Islamic State also creates a deep division among the foreign fighters from Belgium. Guys who marched together in the ranks of Shariah4Belgium, now threaten each other to chop off the head. Except for war and religion, they even quarrel about women. When the first foreign fighters departed from Belgium, most of the Syrian muslim militias still fought side by side. The Belgians were spread across different groups, but remained friends. Nowadays, a bitter rivalry is raging between Jabhat al-Nusra — the Syrian branch of Al Qaeda — and its breakaway Islamic State. That causes heated debates between Belgian fighters who have ended up at different sides, but still find each other on social media. Two of the biggest adversaries there are ‘Abu Haniefa’ and ‘Shaam Al-Mubarak’. The first is the alias of Hicham Chaib (33), a man from Antwerp once known as the bodyguard of Shariah4Belgium leader Fouad Belkacem. 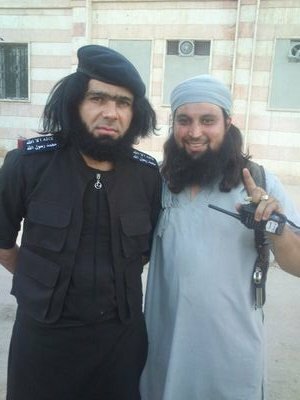 He was reportedly appointed chief of the religious al-Hisba police in ar-Raqqah, the Syrian capital of the Islamice State. The British ‘Daily Mirror’ portrayed him last week as the “killer cop” of IS. The second is presented as a collective account of several ex-Shariah4Belgium members fighting for Jabhat al-Nusra. NOTE: A first version of this article stated that ‘Shaam Al-Mubarak’ is the alias of Redouan Akdim, a former member of Shariah4Belgium who has joined Jabhat al-Nusra. That assumption was based on information gathered in former Shariah4Belgium circles some time ago. After publication though, several sources denied that there is an actual link between ‘Shaam Al-Mubarak’ and Akdim. The Belgian newspaper ‘Het Laatste Nieuws’ had a look into the transcripts of the interrogations of Jejoen Bontinck after he came back from Syria. They learn a lot about the western hostages with whom he was imprisoned by the Islamic State last year — the now beheaded James Foley, the actual hostage John Cantlie and a German citizen that wasn’t mentioned before. When Bontinck arrived in Syria in February of last year, there were three organizations active near Aleppo, where he teamed up with the other Belgians he knew. He was part of Majlis Shura Mujahideen, while Jabhat al-Nusra and “the group of Omar Shishani”, as Bontinck described it, also kept a presence there. While he was already imprisoned on suspicion of being a spy, both his own group and that of Omar Shishani became part of the newly founded ISIS — “the State”, as he says. But several members of Majlis Shura Mujahideen left to Jabhat Al-Nusra at that point. It isn’t clear which organization held him captive directly after that split, since he kept seeing people of both groups. That happened after being kept as a prisoner by his own comrades for several months. “It was completely unexpected that they relocated me the day after Eid al-Fitr. I was told that I had to appear in a court, and would be freed afterwards. They tied my hands and blindfolded me. I don’t know exactly where they brought me. But it was in Aleppo, about half an hour driving from Kafr Hamra. The court belonged to the State. It was lead by a Dutchman, Abu Ubaida. During the first days of my imprisonment there, he once came to my cell — just to have a look. At that time, I didn’t know who he was. I shared a room with a Jordanian man and two Syrian boys.” Bontinck says he heard people being tortured all the time, but wasn’t tortured there himself. “After four days, they put me in another room. There were people looking like Westerners. Three men. James Foley, the American journalist who was already missing for more than a year, and John Cantlie who worked with him. They were caught about ten months before and spent the first five months with Jabhat Al-Nusra. They were tortured then. They were very thin, they didn’t get any food. There was also a German with them, Toni Neukirch. They told me their stories, and I told them mine. We exchanged our contact details and promised each other to meet again, once we would be free. I wrote the numbers of James’ mother and John’s wife in a booklet, but unfortunately I don’t have that anymore. We were together in that room for about three weeks.” The German Bontinck mentions, disappeared in June of last year, but was freed a few months ago. “I talked a lot with them about that”, Bontinck says. “They told me that they weren’t living really good lives before. That they didn’t respect their mothers enought, for instance. It was their conversion that made them see that. When I first met them, they were converted already five months.” It can be doubted that the conversion of the three Westerners was completely sincere. Probably they only obeyed to the demand of their captors, hoping it would save their lives. Prison director Abu Ubaida told Bontinck he should do ‘dawah’ — the preaching to non-muslims — when he sent him to the cell of Foley & co, so he wasn’t that convinced about the conversion of the Westerners himself. 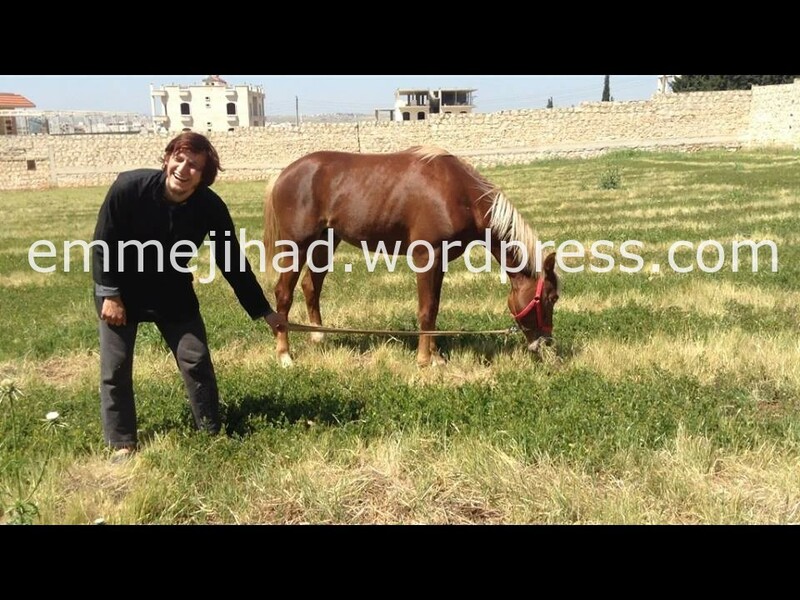 “Abu Ubaida is a tall, slender and tanned. He must be in his twenties. He graduated as an engineer, so I think he’s at least 22 years old. He is of Moroccan descent and I do not know his real name. I can’t tell how he came to Syria or how he has got his important position. But he speaks Arabic perfectly, that was surprising for me. He has two wives and three children, of which the oldest is about seven years old. They are also in Syria and his second wife was born there.” Bontincks description seems to match with the Abu Ubaida al-Maghribi named by other sources as the highest ranking security chief of IS near Aleppo. More about the possibility that we are speaking about the same person, can be read here. Belgium’s largest daily newspaper ‘Het Laatste Nieuws’ reported today about the writings of a Belgian jihadi recently killed while fighting for Jabhat al-Nusra in Syria — showing his poetic side. 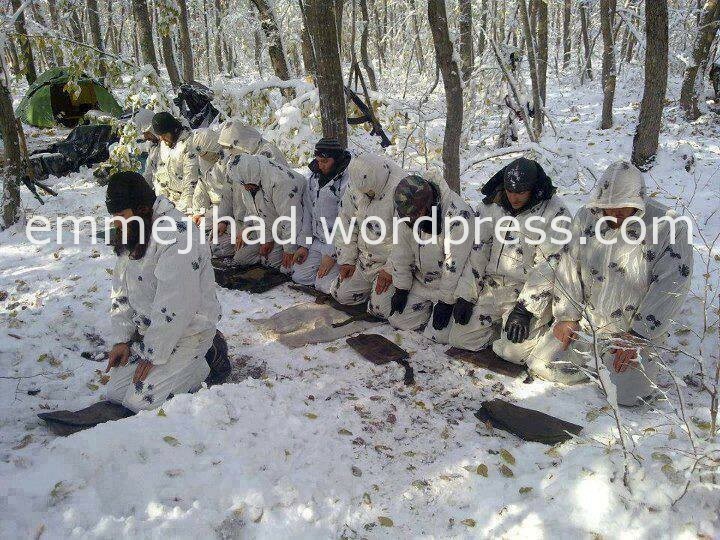 “How beautiful are the characteristics of the mujahid. If he is bleeding, he says: Allahuma, take more. With his blood and his iman , he defies every danger. And his deepest wish is: Allahuma, let me be a martyr.” That’s one of the verses translated from Dutch, published this week by ‘De Basis‘ — a Facebook community of Dutch speaking members of Jabhat al-Nusra, Al-Qaeda’s branch in Syria. They found the poetry on the laptop of Abou Handalah, killed on May 3 while he kept watch during the fighting in Sheikh Najjar, near the northern city of Aleppo. The true identity of Abou Handalah isn’t known yet, although his brothers in arms already distributed a recognizable picture of him. Their conversations on Facebook do learn his first name must be Mohamed, and most of his friends and his acquaintances seem to come from the Belgian city of Antwerp. What his poems certainly are showing, is that Abou Handalah was fluent in Dutch. They contain numerous misspellings — but apart from that, he mastered the language clearly much better than the average Belgian fighter in Syria. “Every single attack is as a marriage proposal for me”, he also wrote. “Waiting for your answer to my request. Wondering when the noble martyrdom will reach me and I will enter the hearts of green birds. When the houri will descend from heaven and remove the dust from my face. Oh my Lord, decorate me with the beauty of purity. All I’m asking from you, my beloved, is your satisfaction.” The poetry of Abou Handalah is always religious and rather combative, yet a lot more sophisticated than the blunt cries about fights and beheadings to which most of his peers seem to limit themselves. The dead Belgian apparently belonged to Jabhat al-Nusra and he was slain last friday while manning a lookout in Sheikh Najjar near Aleppo. His true identity remains unknown, but in the meantime a picture has surfaced on Facebook. Several comrades who knew him personally, already paid their respects. “A truly beautiful brother”, Abu Muhammad stated. 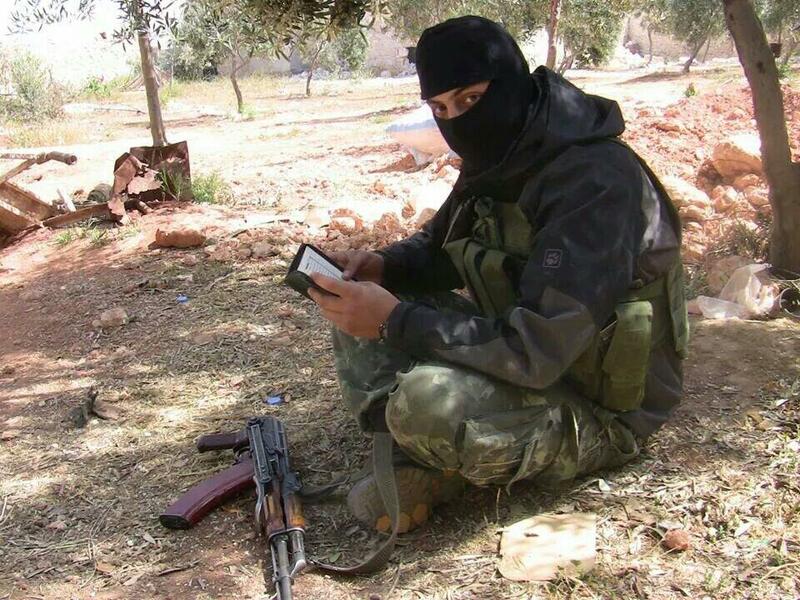 “You should take a look at his mobile phone, because he wrote marvellous poems”, the Aleppo based fighter from the Dutch city of Den Haag elaborated. 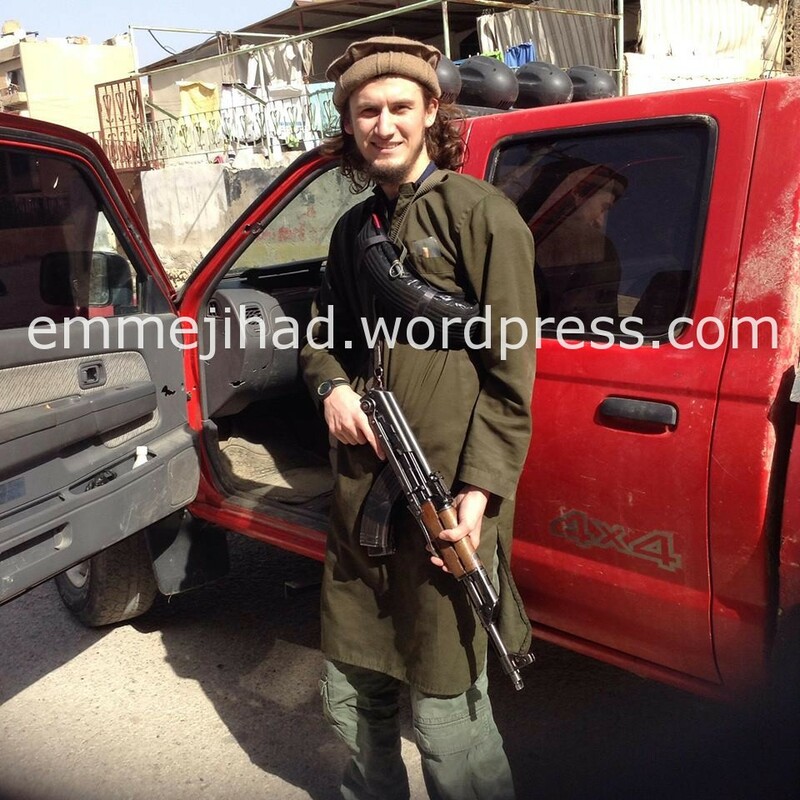 According to Van Ostaeyen’s research, this fighter is the 27th Belgian who has died in Syria. There may be some double countings, but the list of the Belgian fighters who are/have been in Syria contains already 396 names. 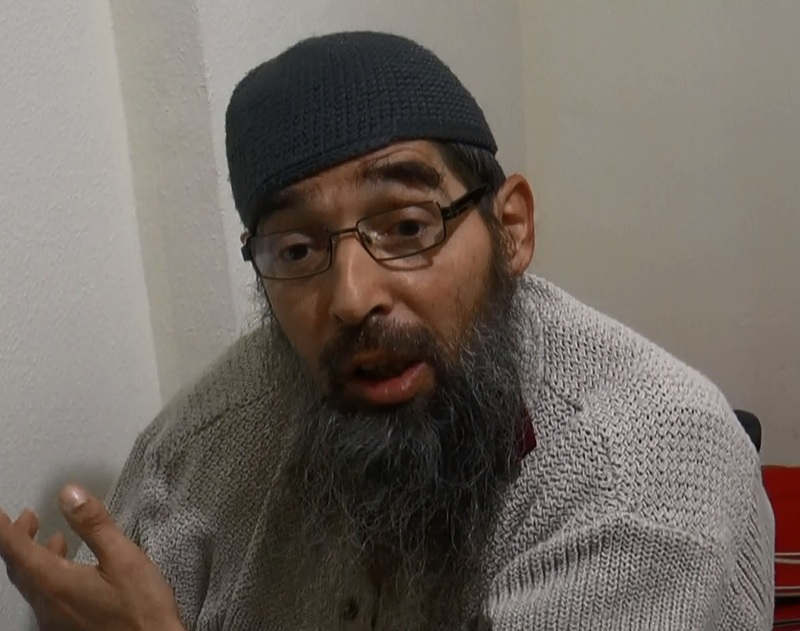 The case of ‘Abou Sabir Al Belgiki’ proves that there are still new departures. That 24 year old from the Antwerp neighborhood of Borgerhout announced last friday on his Facebook account that he had reached his goal. “Mother, I’m in Syria now. I can’t come back after all the efforts I’ve made. Allah would not forgive me and I hope you can accept that”, he wrote. Yesterday, he also posted some pictures on which he’s posing with a weapon. Conversations with his comrades learn that his real first name is Fahd and an older picture on his Facebook account is showing his face. 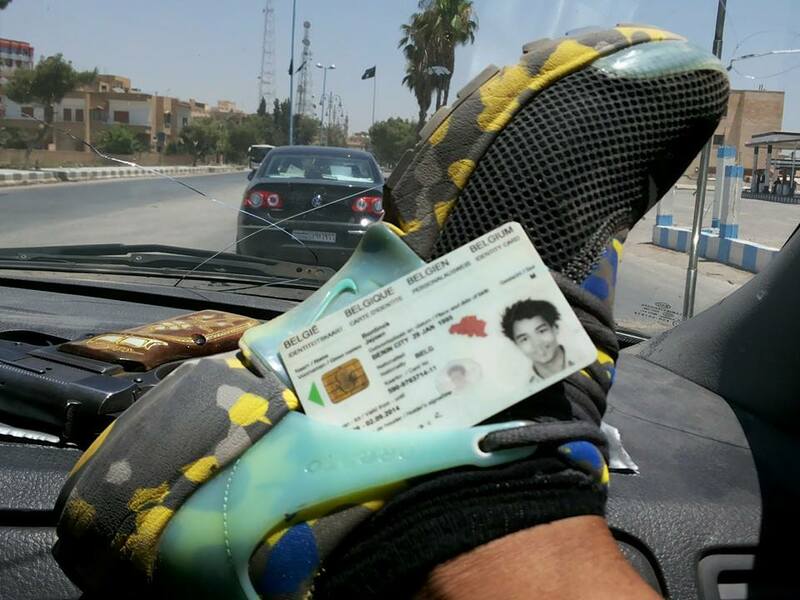 He seems to be of Moroccan descent and clearly is a supporter of the disbanded radical organization ‘Shariah4Belgium’.